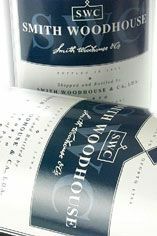 Smith Woodhouse was founded in 1784 when Christopher Smith, Lord Mayor of London, created a small company to ship Port from the Douro valley. Shortly after, he was joined by the Woodhouse brothers. The amalgamation of the Smith and Woodhouse families over 200 years ago gave this highly reputable company its name. Another brand in the Symington family portfolio and, while it might not have top-flight status, it is without doubt a pretender with five members of the Symington family currently engaged in the management of Smith Woodhouse. Smith Woodhouse Port comes from the Upper Douro in the Rio Torto district. The majority of the Port is still produced using the ancient tradition of treading the grapes by foot in stone lagares. Smith Woodhouse Port is mostly sourced from the Madalena vineyard producing smooth, well balanced and delicate fruit flavours. Through the last 200 years, this small Port Company has built a reputation for outstanding Vintage Ports. 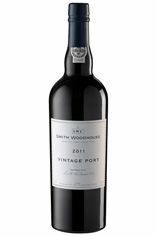 Young Smith Woodhouse Vintage Ports show all the immense depth and concentration of one of the top half-dozen brands but, with its more modest name they represent superb value. Their Ports have outstanding length and structure and are drier than most. 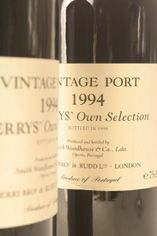 Its Vintage Ports show a characteristic opulent rich style, balanced by firm hard tannins. Ageing gives these wines an unmatched elegance. 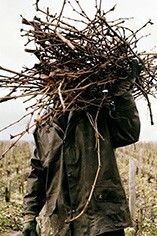 Low-yielding old vines have produced a full-bodied, finely structured wine. With scents of eucalyptus and mint overlaying the fruit, the 1997 is more powerful and assertive than the 1994 and would repay a longer cellaring. With oak notes and fruit harmoniously integrated, this has everything one could ask for from a Vintage Port of the highest quality. Top class. Showing well at the MW tasting and then very high marks at Fells' tasting. Interesting nose, touch of tar and liquorice, whiff of honeycomb; lean yet fleshy, very good flavour and finish. Smith Woodhouse has been a long-standing Berry Bros. & Rudd favourite, always reliable, always very keenly priced and always cellaring well. You will not be surprised to hear that the 2011 does not break with this tradition. The vines, predominately Touriga Nacional and Touriga Franca, are located at the Madalena Vineyard, in the Rio Torto region, where maturation is traditionally a little later than that for properties located further to the north and east. The style is typically generous and forward, the concentrated sweet fruit and notes of licorice, mocha and chocolate supported by finely-etched tannins and a savoury grip. One of the most expressive Ports at this very early stage of evolution, this exudes generous, sweet and rich fruit. It is very luscious with floral hints delicately intertwined; it is an uncomplicated, fruit forward Port, and is all the more attractive for it. It may be less heady and serious than some but the admirable accessibility is the character to which Smith Woodhouse enthusiasts always return. Like welcoming an old friend, this is an easy and eminently enjoyable experience.